I struggled with my meditation this morning, in fact I’ve been struggling since I heard a man say on NPR say, “Who and what we believe, is determined by our politics.” I bet you can guess about what he was talking about, but that’s not my purpose in bringing it up. What troubles me is the concept that who or what I believe is decided by my politics. Truth is truth, and the who and what I believe shouldn’t be shaped by my politics, but by my relationship with God, my neighbors, and the truth. I don’t want who and what I believe to be shaped by my politics, and if that is the case I need to make adjustments. 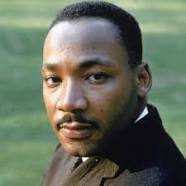 Martin Luther King said, “Many people fear nothing more terribly than to take a position which stands out sharply and clearly from the prevailing opinion.” Now Dr. King was talking about lofty and noble ideas, but his words ring true for the little things in each of our lives including who and what I believe. The adjustment I need to make is not easy. Maybe my readers can help. What determines who and what you believe? What should determine what and who you believe? Do you and I have the courage to take a position which “stands out clearly from the prevailing opinion?” I admit I don’t know the answers, but I do know that because the NPR’s man quote bothers me, I have some work to do in determining the answers and making the proper adjustments. Gandhi said, “Those who believe religion and politics aren’t connected don’t understand either.” He may be true, but I do know I don’t want my religion, my beliefs, shaped by politics. What do you think? According to Myers-Briggs my traits put me where 1% of the American public tests. As I get older it bothers me less and less to be alone or with a minority on items of who I am and what I think or believe. Maybe it is the wisdom of age? Thanks. W.